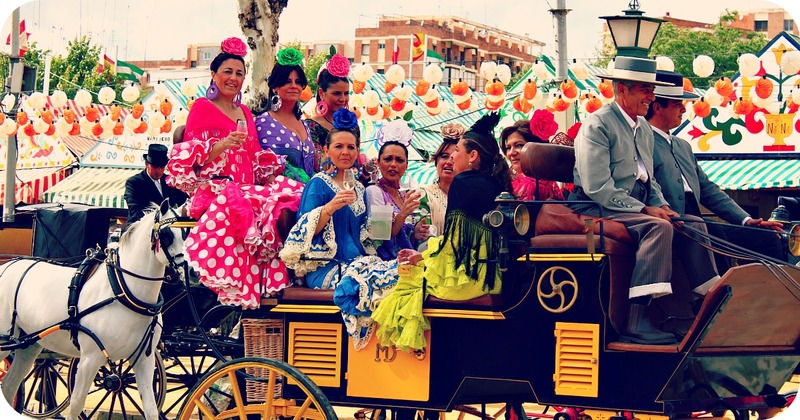 The traditional Seville's April fair will be held from May 4 to 11, 2019 at the Real de la Feria. The origin of the Fair comes from the old cattle market that was celebrated annually in the Sevillian capital. However it was not until 1847 that the deals of buying and selling cattle reached with an agreement were celebrated with songs and dances. With the passaging of the years the cattle market moved and the Fair became one more event of the Spring Festivals. 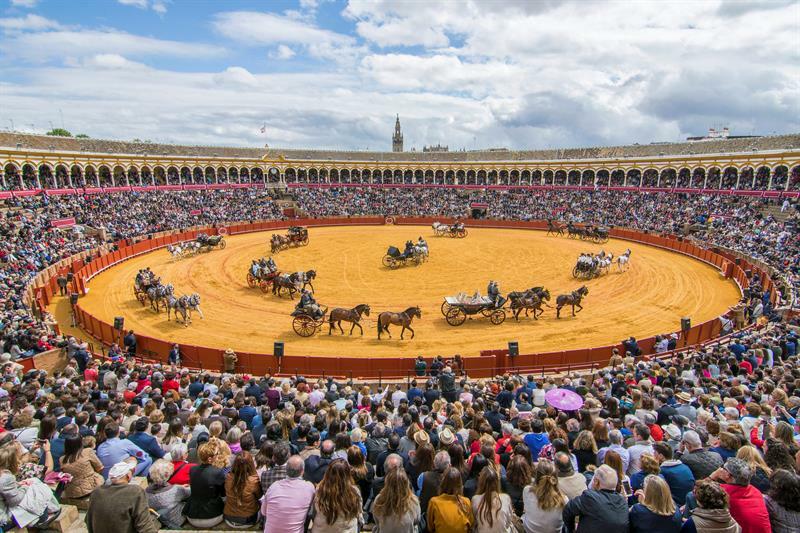 This year after the success obtained in the referendum organized by the City Council of Seville in 2017 that asked about the beginning of the Fair a couple of days before than normally, the duration remains as last year in 7 days, from Sunday to Saturday. During the "Saturday of pescaito" the gala dinner is celebrated and at 00:00 hours with the traditional "alumbrao" of the Real de la Feria the Fair officially starts which ends the following Sunday at 00:00 with a Fireworks show. The Fair’s portada is an arch that symbolizes the gateway to the Real de la Feria and each year represents a symbolic element of the city. by the Casino of the Ibero-American Exposition of 1929 (Seville Pavilion). The portada pays homage to this exhibition, to Aníbal González, to Santiago Martínez Martín, to the fifth centenary of the first round the world and to the 175th anniversary of the founding of the Civil Guard. The arch of 50 meters of frontal and a height of 37,27 meters will have around 25,000 light bulbs. The Real de la Feria. The Fair is made up of different parts: El Real de la Feria is the enclosure where the casetas are located and consists of 25 blocks divided by 15 streets with names of legendary bullfighters illuminated with paper lanterns. The "Street of Hell" is where all the attractions are located, and finally the Parking area. Casetas are ephemeral structures coated with striped canvases with the form of houses where visitors gather to eat, drink, sing and dance. The Real de la Feria has a total of 1040 mostly private casetas. This year marks the XXXIV Exhibition of Carriages of the Seville’s April Fair. The date of the event is on May 5 at 12:00 in the Plaza de Toros de la Maestranza. Numerous horses and carriages walk through in the fairgrounds every day for the benefit of the visitors. Men and women are dressed in the typical costumes, in the case of the man 'de corto' and in the case of the woman 'riding suit' or 'flamenca'. Sevillanas are the traditional singing and dancing of the Fair. Sevillanas comes from the Castilian ‘seguidilla’ and the dance consists of 4 parts. It is danced in couple and is normally accompanied by traditional ‘palillos’ o castanets. The bullfights of the April’s Fair are the most important of the bullfighting season. From Wednesday April 15 to Sunday 22, bullfights are held at the Real Maestranza de Caballería de Sevilla. Don't miss the April Fair! Book your stay with us. Best prices and discount on our website.